ROCKVILLE, Maryland -- Sidney Epstein, who began his almost five-decade journalism career as a copy boy at one Washington paper and rose to editor of The Washington Star, has died. He was 81. 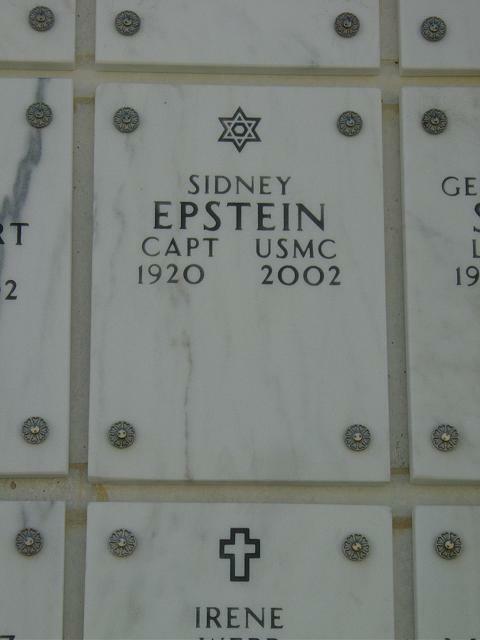 Epstein died Sunday at the Hebrew Home of Greater Washington. He had pneumonia. Epstein supervised coverage of many major stories, including the 1963 assassination of President John F. Kennedy. He broke into journalism as a copy boy at the Washington Herald in 1937 after studying at George Washington University. In 1942, he enlisted in the Marine Corps, serving as an artillery officer in the Pacific during World War II. He left the service as a first lieutenant. After the war, he returned to the paper, then called the Washington Times-Herald. He was the paper's city editor in 1954 when it was sold to The Washington Post. He joined the Star as an assistant city editor, steadily rising through its hierarchy to serve as city editor, assistant managing editor, managing editor and executive editor before becoming associate publisher, editor and a member of the paper's board of directors. When the Star closed shop in 1981, Pulitzer Prize-winning reporter Carl Bernstein described Epstein's lasting impact on newsroom employees there. "If there was a father figure in our universe, it was Sid Epstein, a study in monogrammed shirts and perfectly clipped nails, a city editor with knowledge of Washington's streets that came from growing up in them and working the desk at the Times-Herald," Bernstein wrote. "The Star was very much a local paper; this was the area of coverage where we still clobbered The Post, and Epstein did not take lightly to the notion of losing the edge." One of Epstein's hires at the Times-Herald was Jacqueline Bouvier, who later married Kennedy. After she died in 1994, Epstein reminisced to Washingtonian magazine about hiring her. "I remember her as this very attractive, cute-as-hell girl, and all the guys in the newsroom giving her a good look," he said. Despite her inexperience, he hired her as a photographer and paid her $25 a week. After the Star folded, Epstein briefly joined a telecommunications firm and served as consultant to the Toronto Sun when the paper explored the prospect of publishing a newspaper in Washington. Epstein's wife, Eleni, the former fashion editor of the Star, died in 1991. He is survived by a daughter, Diane Morales of Collierville, Tennessee. Services will be at Arlington National Cemetery. Further details were not immediately available. Sidney Epstein, 81, a former newspaper copy boy who capped his career as associate publisher and editor of the Washington Star, died September 15, 2002, at the Hebrew Home of Greater Washington in Rockville, Maryland. He had Alzheimer's disease and pneumonia. There was hardly a cranny of Washington civic life that Mr. Epstein did not know. He so identified himself with the city that he tried to mask the fact that he was born in Delaware. Bouvier as a roving photographer -- and then made his reputation as a formidable presence at the Star from 1954 until it closed in 1981. The Star, an afternoon paper, was the dominant daily in the city when he joined the staff. He was city editor, assistant managing editor and managing editor before being appointed executive editor, overseeing all news and feature operations, in 1978. Mr. Epstein was more than six feet tall, a nattily dressed former Marine. His demeanor was sometimes martial, sometimes jovial, what Forbes called "a composite image of the city editors of the olden days." In the 1960s, he played a major role in the coverage of President John F. Kennedy's assassination and the riots in Washington after the killing of the Rev. Martin Luther King Jr. Shortly before the Star folded, after years of circulation and advertising decline in an economy that did not favor afternoon papers, Mr. Epstein was named associate publisher and editor. Mr. Epstein did some consulting work in the early 1980s but was largely retired. 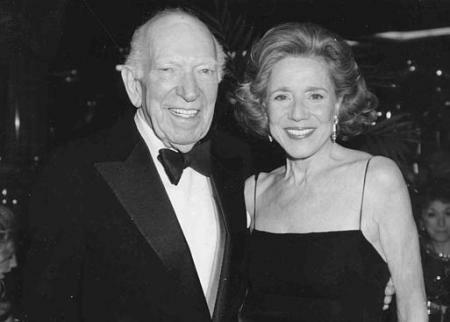 In 1994, he spoke with Washingtonian magazine about his hiring of Bouvier, a socially connected debutante who later married Kennedy. He was the Times-Herald city editor and met with Bouvier only as a favor to another editor. "I remember her as this very attractive, cute-as-hell girl, and all the guys in the newsroom giving her a good look," he said. Her journalism credentials were less attractive, and he was reluctant to hire her as a reporter. When she said she had studied photography at the Sorbonne using a Leica, he said he might hire her if she could forget the fancy camera and learn to master the Speed Graphic in 24 hours. She did, and he took her on staff at $25 a week as the paper's inquiring photographer. Mr. Epstein was born in Wilmington, Delaware. He attended George Washington University but left after working as a Herald copy boy. His colleagues at the Times-Herald published a short and joshing profile of him in 1942, as he was returning to Washington after training with the Marines in South Carolina at the start of World War II. The story said he had been a rewrite man, working the 7 p.m.-to-3 a.m. shift, and neither rose early nor seemed ideally suited to military life. "It was generally expected by those who knew him that Sidney would die a hasty death as a result," the Times-Herald wrote. "But not at all. Private Epstein turned up in Washington a few days ago a veritable Atlas of a man, bulging with muscle and clear of eye. He even felt good." He went on to serve in the Pacific Theater as an artillery officer. He retired from the Reserve in 1958 as a Captain. His Marine Corps experience paid off in 1959 when one night after work he chased a young thug who tried to steal a woman's pocketbook. The woman was Rosina Quarles, the widow of Donald A. Quarles, former secretary of the Air Force. Mr. Epstein held the 19-year-old unemployed porter until police hauled him away. He received the Washington Criminal Justice Association's award of Mr. Citizen of 1960. His first marriage, to Mary Allbritain Epstein, ended in divorce. His wife of 33 years, Eleni Sakes Epstein, a former fashion editor at the Star, died in 1991. Survivors include a daughter from the first marriage, Diane Morales of Collierville, Tenn.; and a granddaughter. at Arlington National Cemetery to follow. In lieu of flowers memorial contributions may be made to the Alzheimers Association, National Capital Area, 11240 Waples Mill Rd, Fairfax, VA 22030. Arrangements by JOSEPH GAWLERS SONS. the American Cancer Society Ball in Virginia in this photo taken in the spring of 1997.